An installation to navigate through data produced by an events organizer. During a one-week workshop we had the possibility to work with Seterolux, an event organizer based in Nantes with main focus on music and digital arts. For their upcoming 20th birthday they wanted to show their evolution based on some data they've recorded along their activity. With different themes in mind in order to show their progress. With my team, we decided to focus on their music activity and mainly, concerts. We've started by finding a metaphor to navigate through their data, so we've explore a variety of music and scene controls in order to design our own. We've created a projector shaped installation in order to highlight different years of activity of the organisation and to allow the visitor to simply travel through years by moving the projector. The support of each data set is again inspired by music and scene with an equalizer. 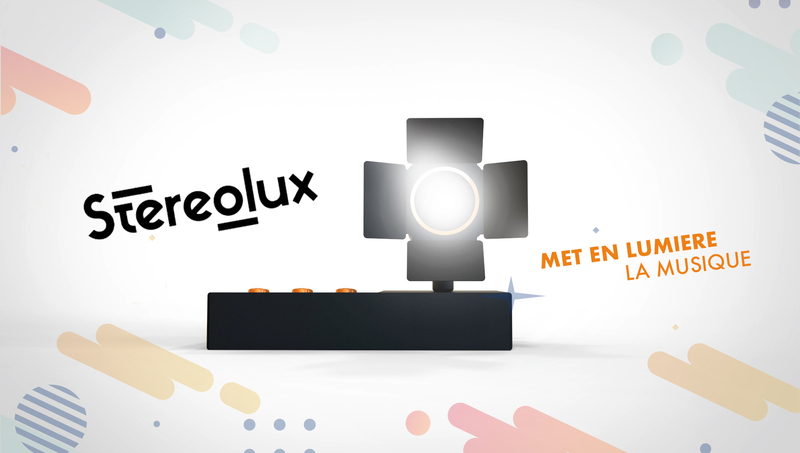 Our main goal was to provide a simple interaction thanks to tangible interfaces to allow visitors to see the progress of the Stereolux. In the same time we've produced different renders of what could be the final version of our installation. We've also made a cardboard version of it to present a proof of concept.